Your Business cares about controlling time & labor expenses, after all that is why you are visiting us...Time Clock eShop can Help! Employee Time Clocks have been our passion Since 1962. Large or Small...we offer Time Clocks for any size business. Automating Time and Attendance for your small business has never been easier or more affordable than now!! Time and Attendance software will automatically calculate employee hours, overtime and off-time pay, in an easy-to-use system to manage your hourly and salary labor. Say goodbye to those old fashioned time clocks and manual time cards, put calculated payroll data right at your fingertips with these powerful Time Clock Systems for Employees. Manage Employee Time from the Net...No Software to Install. Time Attendance Software as a Service. Saas has low monthly fees!! Time and Attendance Systems...for the Company Network. Most all of our InkJet Coding Printers can imprint Consecutive Numbering, Time and Date, custom text. 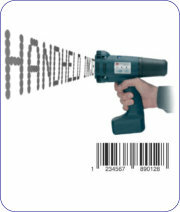 A few of our coding machines such as the Reiner JetStamp 970, can also imprint Graphics and accurate Barcodes. When your project also requires imprinting on slick, non-porous surfaces...then we have your coding and marking project covered. The JetStamp 792MP InkJet Coding Printer prints small characters and EBS250 Handjet Printer will print large characters and both printers are offered with specially designed quick-dry inks, compatible with imprinting on metal, plastic, glass and similiar surfaces and substrates. Specify where and when, with each of these Time Date Stamps. The electric time stamp machine eliminates hand stamping of Time, Date and custom text for...Incoming Mail, Bids, Contracts, etc. Utilized by Governmental Offices, Insurance Companies, etc. for Legal Document Control and Validation. Unlike the mechanical machines, the Amano NS5100 Electronic Time Date Stamp automatically advances the Month, Date and Year. The Amano TS3000i is designed for OATS Compliancy, with imprint of seconds, in the validation of Trade Tickets utilized by stock exchange traders. Choose the Reiner Speed i Jet 798 Mobile Inkjet Printer Pen for offices and marking processes that used to rely upon the discontinued DYMO DateMark. If it relates to Time Clocks for Business, we have it. Our wide selection and diversity of products includes everything from Electronic Time clocks, and Biometric Time Clocks to Employee Time Clock Software. We specialize in Time Clock and Tracking Systems and related equipment that will automate your Payroll procedures and eliminate costly buddy-punching by employees. You can also purchase time cards and time card racks, Badges for your Time Clock and all other supplies, securely at this on-line store. We are a 53+ Year Old Company with a physical address and a brick-and-mortar building as well as several web sites devoted to Time Clock Systems and other similiar Timekeeping Products. Our goal is to make you comfortable with the selection of an Employee Time Clock for your workforce and to simplify your buying process. 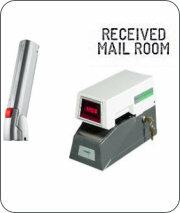 We offer "3 Easy Ways to Order"; such as, Order Securely On-Line (SSL), Order by Phone or print the Fax Order Form. Old Index page. If you plan to purchase only particular name brands, such as an Acroprint Time Clock, or Amano Time Clocks, or our newest line the Time Wolf Payroll Time Clock products, etc., simply choose that brand from the "eShop by Brand List" found on the top of each page.